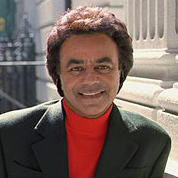 September 30, 1935 John Royce “Johnny” Mathis was born in Gilmer, Texas. In 1958, “Johnny’s Greatest Hits” was released as the first ever greatest hits album in the music industry. That album was on the Billboard album chart for an unprecedented 490 consecutive weeks. Mathis also has the distinction of having the longest stay of any recording artist on the Columbia Record label, having been with the label from 1956 to 1963 and from 1968 to the present. To date, Mathis has recorded more than 130 albums with sales in excess of 350 million and more than 60 of his albums have been certified gold or platinum. He has received three Grammy Awards and in 2003 received the Grammy Lifetime Achievement Award.